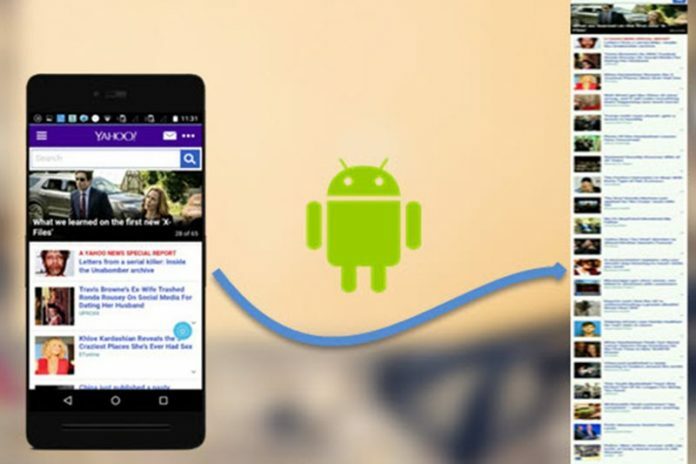 Let’s have a look at the method to take Long Scrolling Screenshot on any Android with the help of two cool Android apps that will let you take such screenshots with great ease. So have a look at the complete guide below. Screenshot feature has been a really useful function on the smartphone devices. Many of the people would have utilized it for many of the purposes. But apart from this feature being immensely useful, it also has restrictions that only a few things visible on the screen can be captured at once. To resolve this restriction the Xiaomi introduced the long scrolling screenshot feature in the MIUI. Through this feature the screenshot of long pages could be easily taken, you can compare this feature with the Panasonic image capture as this feature works like same. After the invent of the long scroll feature, not every Android device was enabled to utilize it potentially. To get this feature in every Android device there has to be done method applied. Here on this article, we have written about that method through which any Android device could get the facility I’d long scrolling screenshots. Just read this whole article if you wish to know about that method! Note: In this method, we will be telling you about third party apps on the Android that induce the long scrolling screenshot capability. Just have a look at all those apps as we have provided these below! This is a third-party app that could be found in the Google Play store. The app is specially made for the only purpose to capture the long form screenshots. The process is simple, just open the app and then select Capture option. Start up with your pointing screen and move it slowly as the app stitches the quickly taken screenshots. The output will be a long form screenshot! Automatically merge multiple screenshots/images into one vertically or horizontally, with a bunch of options. Auto capture screenshots after scrolling. Floating screenshot capturing buttons make take multiple screenshots like a breeze. Powerful manual stitching tool to fine-tune a pixel-perfect long image. Capture long web page by only 2 clicks: set start position (optional), set end position – done! No watermarks, all features are free and non-intrusive (closable) ads. For taking screenshots of the web pages this app excels. Open your website for which you wish to take a screenshot and then click on the capture icon for this app. You will be able to take the screenshot within few instants. 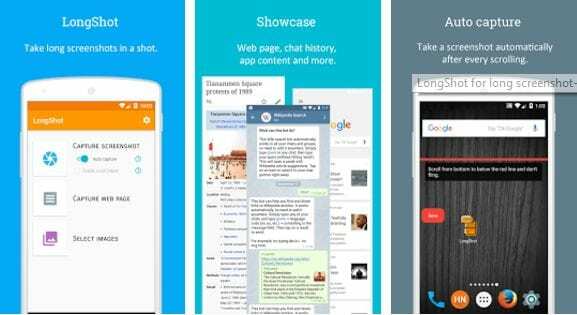 Like the above apps, there are numerous other such apps that can help you capture scrolling long screenshots on any Android device. The above-provided apps are the best ones according to us. If you like these apps then please use these unless going for any other apps, you won’t face any kind of problems we believe so. As we have used the third party apps for obtaining the long scroll screenshot ability in the Android devices so you can easily conclude about the difficulty level of the method which is extremely easy. We hope that you will like this article and you might have for benefited out of the method described in it. Please tend to share this article and also provide up with your valuable opinions and suggestions through the comments section below!